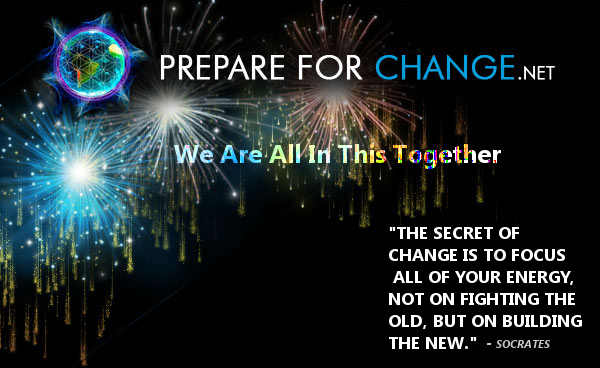 After a lot of brainstorming, writing, and myriad discussions, we’ve finally arrived at a plan to build the “Community Leaders Brief” website – www.prepare4change.com – into a key reference resource for the time of the EVENT. It will not be the only website, obviously, but what we’re aiming to do is to create downloadable materials and reference websites in various languages. This is due in part to the foreknowledge that extremely high traffic at that time may cause one or more of the various websites to go down temporarily. It will not be possible to include every country on that list, but the goal is to be able to hit a vast majority of people on Earth. After all, given how many people are multilingual globally it is probable we can reach almost everyone with a concerted effort regarding translations. So far, based upon feedback from various sources, the initial focus will be on the Community Leaders Brief and what has been given the nickname “Event Plan”. Personally, what we call it depends on what else transpires. While the Community Leaders Brief is more or less universal, the “Event Plan” really is intended to be something that every person can adapt given their own circumstances. In my opinion, it should not only be translated into other languages but should incorporate cultural and terminology differences as well. Unfortunately, as a monolingual person who is not well-traveled…I can safely say that I am not the person who should tackle this. Given the time frame I am focusing on per Cobra’s latest update regarding the upcoming Window of Opportunity, a reasonable approach in my mind would be to have a customized “Event Plan” that is relevant culturally for people in the world’s most 25 populous nations. If time permits, the scope should be expanded, but this somewhat narrow focus seems legitimately attainable. My hope is to have 2-3 person working groups who can collaborate and work not only on translation but also on information and ideas that are relevant. I do not expect the “Event Plan” as it is currently written to be 100% useful everywhere. However, it can be used as a starting point for any volunteers in various countries who are willing to take on this project. In order to avoid translation inconsistencies, every effort will be made to have these peer-reviewed for appropriateness prior to ultimate loading onto the CLB website. Nonetheless, in this situation I hold firm to the belief that something is better than nothing; even those which have not been reviewed will ultimately be uploaded to the website, too. Specifically, this is one area where readers can help us out greatly – I’ve already had many individuals provide feedback on grammar errors, etc. These fixes will be implemented to the extent time permits. For those of you in the PFC readership, please send an email to [email protected] if you wish to join in this effort. You can also register as a member of a PFC Translation team here – either way it ultimately comes to me via email. Progress may occur in fits & starts, but we will do what we can up right up until the moment the mainstream news changes. I would like to continue each week by sharing one new painting in the series. Everything is part of the cosmic brew. Being reborn anew. Stir the fires, stir the longing, release, what hides within you. This beautiful and intense angel began as my Scorpio muse, focused intentions, attracting and calling forth exactly what she needs to manifest. As she developed and her intentions manifested, miracles began to happen, her hearts opened, expanded and grew, till formlessness became the brew of all creation. Hers is the heart of all. When this angel comes into your life, you are put on notice. does not mince words, although always with kindness and love and as the pathway to transformation and ascension. From the formlessness, from the void all things are possible. In other news, it has now been more than a week since the leading edge of the Puna lava flow stalled just 480 feet from the Pahoa Village road, although there are breakouts of lava farther up, so the town has not been impacted, but the threat is still present. I had spoken by phone with Michael Salla a few months ago and he shared with me information that perhaps there was some connection between the lava flow and the establishment and dedication of the Kalapana Star Visitor’s Sanctuary. He mentioned to me that Uncle Robert felt strongly that the reinstatement of the Kingdom of Hawaii would also come into the equation.I would like to share Michael Salla’s article with you all, and at the same time, suggest that after reading it you click on this link to a video with more explanation . . . This is the link to view a very important video about this topic. The third and final link I would recommend you go to is this one which has a message from a Galactic named An T’na, as received by Gesanna. 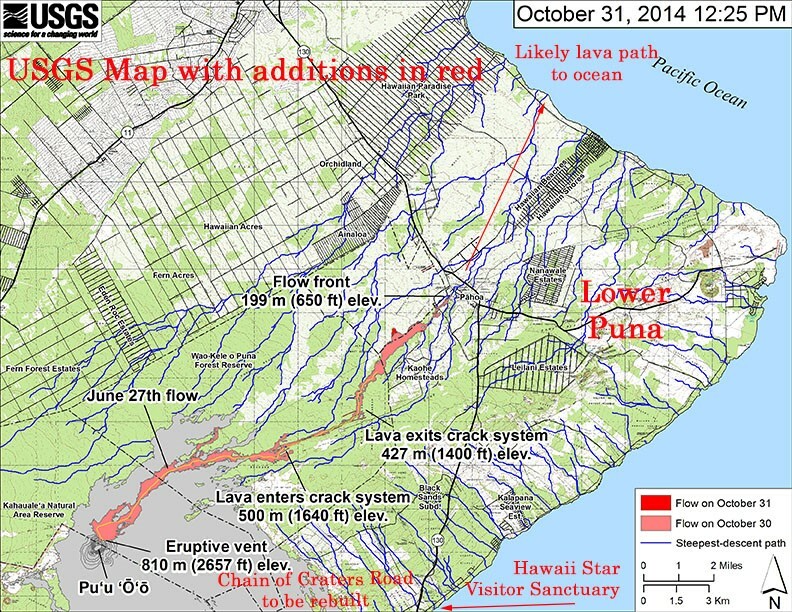 This is the 20th communiqué received by Gesanna and addressed the connection between the current Lava flow and the Kalapana Star Visitor’s Sanctuary. 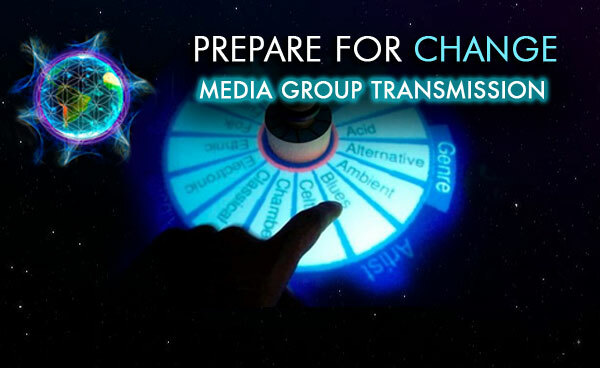 We will post these three links on the media group page and invite people from around the world to share their thoughts feelings and comments about this topic. I will be providing updates on the lava flow and the development of the Star Visitor Sanctuary in the next newsletters. Until then, as always, keep your eyes to the skies. . .
Judi and Smaly7, co-chairs, the Media Group. Greetings from Dov and the Renaissance Group. Sending good messages for transformation with the energies of the Golden Age, and today’s featured artist is Jean-Luc Bozolli. A French artist living in the Pacific Islands for the past 40 years, Jean-Luc has spent thousands of hours immersed in the holographic undersea world of wild dolphins and whales, sharing the visions and wisdoms awakened within him through his art… by feeling the multi-aspects of Nature. At his website, http://eyewithin.com/ you can see his galleries and images, writings and films. ‘Whales and Dragons’ and Transmuteo, are his films to focus your mind and manifest your intentions, as well as access the higher dimensions and connect with other world consciousness. your left and right brain at a quantum level. clarifying the unconscious, accessing your multi-dimensionality, and easing into the new paradigms. I was fortunate to meet Jean-Luc and he asked me to do a score to Transmuteo and here is a link to the Trailer. Says Jean-Luc: The wisdom of geometry within us ( bones, tissues and atomic structure) is a stunning design. Its purpose is like a golden thread that weaves one reality to another, one world to another and one dimension to the next. 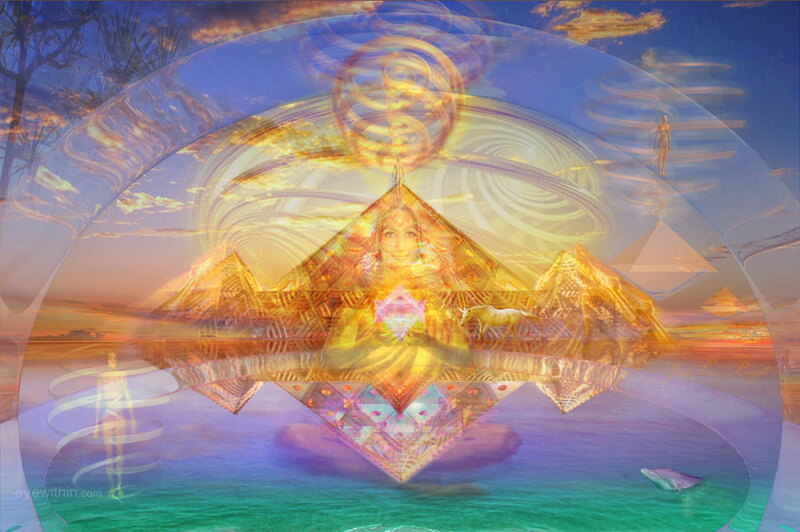 We exist by our divine nature in more than one reality, we are multidimensional. And that is the subconscious conflict we have deep within, when we get trapped by the attachment to emotional behaviors of a limited only rational reality. If you were a bird, and you didn’t know you were, you will not try to fly. Let us balance ourselves so we can fly forward into a new higher global consciousness. This film is shot solely from the air, above the earth, and shows the immense wonder of the planet and the equally immense need for us to reroute our habits to have less impact on our Home. Like no other medium, film immerses us deeply into emotions and understanding, and this one gives us the whole picture of what we must do to realign with the harmony and wisdom of nature. It points out the contrast, where man has abused the soils, the lands, and how by farming one crop in one place, we have weakened the planet. It shows glaciers and volcanoes and mesmerizes us into affection towards Home. The film offers suggestions and a time-frame for us to reroute our patterns. It is an awakening to a dire situation, it calls us to think about the future of our planet. Check it out…and enter the Dream of the Earth. Blessings and see you in the new Renaissance! to where you live around the world? Did red win, or did blue win? It reminded me of – pirates. Well . . . let me take you back in time. 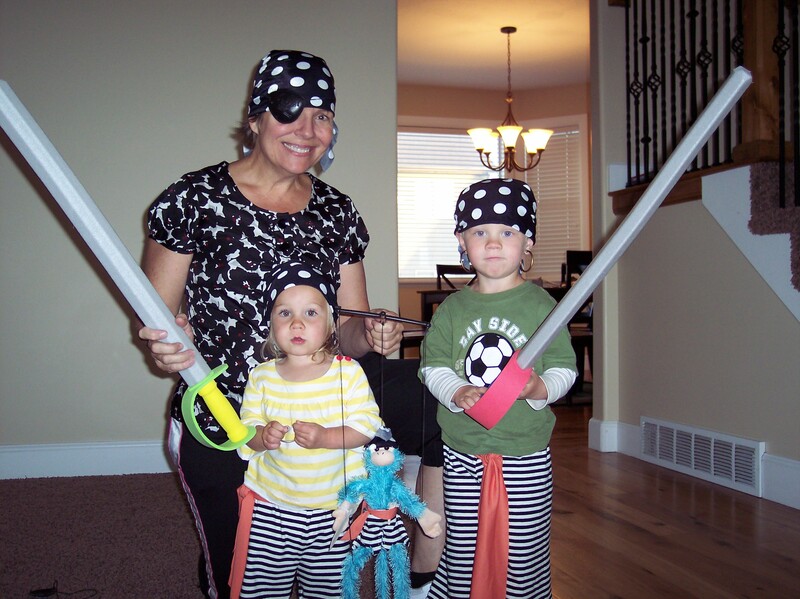 A few years ago my young grand-son was into pirates – the nice ones. 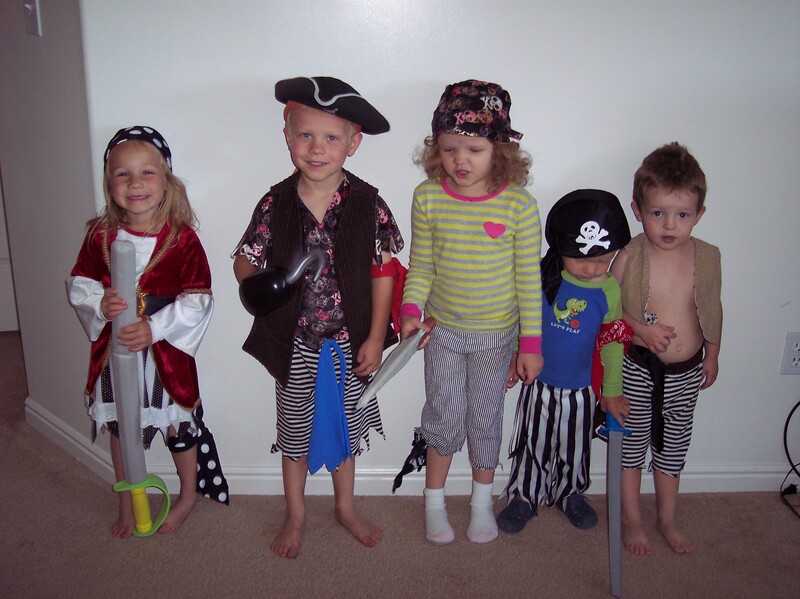 Loved them, so we had a pirate party and he got some pirate clothes and swords. It was early summer and he wanted to dress up in pirate clothes – every day. Some mornings his mom gave him his choice: “Do you want to ware blue, or red? Grand-son said – ”pirate!!!!” . . . and so he would. – he always chose pirate. He wore pirate shorts for weeks on end. He wore pirate shirts with regular pants. He wore pirate pants and regular t-shirts. Didn’t matter. . . . and after awhile, his mom would say “No more, do you want to ware blue or red?” (or is it red or blue?) To have that freedom of being a kid again and choosing pirate – every day. or red. Notice that. We are “FREE” to vote – between red or blue. Wow – I am free to vote – between Blue and Red. . . . . . and that doesn’t work for me any more.
. . . . . ho hum . . . red and blue again (or 2 wings of the same eagle perhaps?). others. We don’t like being ruled over. Period. for? Do we need to transform our societies and governments? Are there no new ideas on how to live in peaceful & fair societies? Where is the handbook of living in a new age, a golden age. I invite you to read the COMMUNIQUÉ 20 presented below. These are messages from a channeled source. This being the case, I ask you to use your discretion as there is no way for us to prove the accuracy of these statements. Time will tell as things unfold. ET is not bound by third dimensional constraints. They can already see the outcome of our labors here on Gaia. 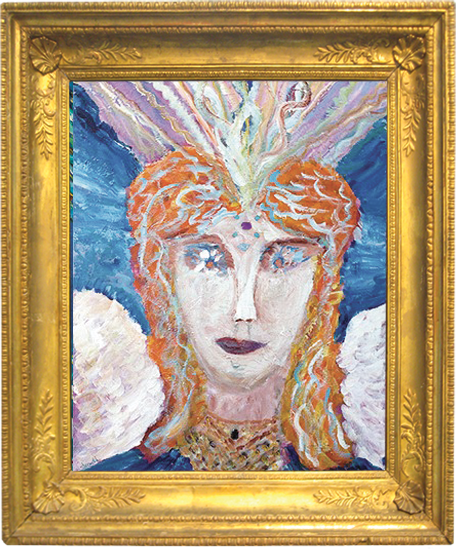 Gesanna is a person living in Hawaii who has been contacted by a benevolent group of ETs who have chosen her as their spokesperson. Here they answer Gesanna’s questions and give information about plans for contact at an undisclosed time in our future, however they do disclose the place. These Communiqués give a wealth of encouraging information. To broaden your knowledge base, I encourage you to read all of them. Communiqué 20 was just given on October 30-31, 2014 so this is new information that I trust you will find interesting. There will be more added in the future. I included Part B also as it is an update on the demise of the cabal. Gesanna: The current events of the lava flow that is making its way toward where I live has diverted my personal time and attention from focusing on ‘the bigger picture’ that is unfolding ‘behind the scenes’ that are more importantly relative to us all. Given these natural events of change that is occurring here in my local area which, in response, are causing me to soon make some personal changes with respect to where I live, I feel that there is a connection between these localized planetary events and what you, the Council and Mr. Ja’li, have planned with regard to the greater matters of contact, ascension and returning Home to Shambala. Many months ago I received – from you? – hints of such environmental events being part of that plan. It also seems to pertain to a lucid dream I had – which, at the time many years ago, may have been precognitive? – hinting at a particular way of life or manner of society that is yet to come into existence…but it all seems to be interconnected. Would you please clarify this as pertaining to the event of contact and so on? An T’na: Greetings, Gesanna. I am An T’na. Yes indeed, you have been distracted from focusing on your work with us, but we do understand the need to give attention and effort to prepare for what is soon coming your way. Rest assured that what you are going through is all part of a much greater plan. So do approach it from a place of calm, knowing that it is all part of something much more than you are observing superficially. Remember to keep it all within the perspective of the greater unfolding of higher events. For now, detach emotionally, relax, sit back, observe, and go with the flow of the flow, as you put it. Are we causing the volcano flow to be active now in your area? No. 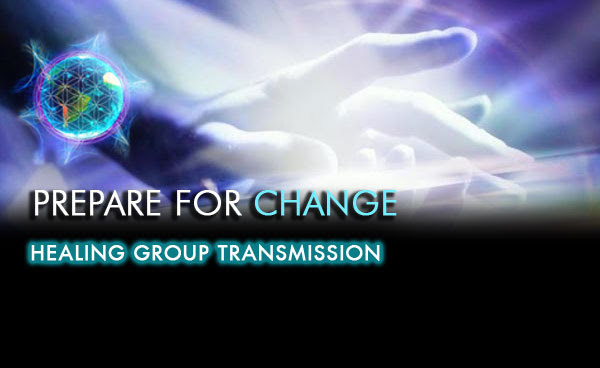 What is occurring is completely initiated by the planetary changes themselves. We are merely engaging what is already occurring in a manner that will help further the plans for contact and so on. Bear in mind that contact is the ‘Stardoor’ leading to further experiences such as ascension and your return Home to Shambala. We would have you know right away that your rogue or negative faction whom you call the ‘cabal’ have been trying to use their exotic technology on Hawaii’s volcano in experiments that, if successful, would assist them with their global plans of genocide. So far they are not having much success, but this is another subject that we will not discuss right now. As you, Gesanna, are experiencing the volcano’s flow in a more personal way, we are working to create a particular circumstance or condition on your island that will be of benefit to the contact plans. If you are wondering, and we noticed that you have, no one is responsible for directing the flow toward you, although we could say that your negative faction is tampering with it. Still, it is on its own natural course. What we are doing is taking advantage of an environmental condition that we foresaw in time that would be occurring on your island. In other words, we knew that this was going to occur so we decided to use it to a beneficial order of things. Some months ago, what you picked up on from us regarding this very situation was indeed information coming from our foresight into this condition. You had tuned-in to the session wherein the Council discussed the matter of how to use it to make the most of it. You have wondered why we have not interfered, have not taken the opportunity to divert or redirect the flow. To that question we answer that your government and people chose to allow the flow to take its own natural course, and we chose to honor that without interfering. Now, what you tuned-in to during the Council’s session on this matter was information that you got a bit skewed regarding what would actually occur. While we had discussed the option of what to do about the flow itself, that we would ‘deliberately’ guide it to cross the highway was a misinterpretation of the decision to ‘allow’ it to cross the road of its own accord and then apply that natural event to a higher purpose. You have a saying of, “When life hands you sour lemons, make lemonade”. Well, in a way this is what the Council decided to do with this particular situation…make the best use of it for the greater good. Actually, the Council found that ultimately this opportunity would in the end result in enhancing the procedures of implementing the plan of contact and so on. Gesanna: OK. To clarify: What you’re saying is that the lava flow, such as it is currently doing, was foreseen by the Council. And They decided to make use of it as a means of bringing about a better way in which to go about installing the plan than would have transpired without this natural event occurring? An T’na: That is correct. 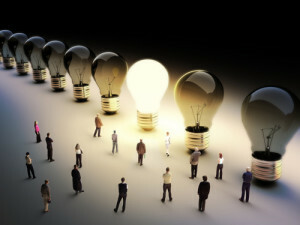 It is providing a unique opportunity that will allow us greater charge toward having contact occur. An T’na: You know that it is going to cut across your main access to your greater populated areas of the island. You know that eventually it will cut off other roadways as well, except one. You know that this one particular road will ‘remotely access’ you to the rest of the island and, conversely, will give ‘remote access’ of others to your nearly isolated area of the island. In other words, you are about to become an island on an island that will be remotely accessible, in and out of it. Not only will access to your ‘little island’ on the Big Island be remote, but your government will also restrict who is entitled to go there in order to keep traffic on the primitive access road to a minimum. Are you getting a picture of what will be transpiring? An T’na: But we wish that none of you go into fear or anger over this, or become anxious with regard to having your needs met or not. The plan of the Council is to use your nearly isolated area as the place for ‘first contact’, on a public level if not open to the vaster numbers of people. Not yet, but in time it will become so. First things first. Your people have already established a location on your island where this can take place (of which, see below). It is a ‘sanctuary’ and sanctuaries are meant for peaceable actions and interactions. This remote sanctuary, made even more remote by what is naturally transpiring, will serve as a ‘protective garrison’ where contact can occur with little if any interference from those who would want to prevent or interfere with it. While there will be such people living within your little island area who would not want contact to occur, they are very few in numbers. But once they realize what having contact with loving and helpful entities from other worlds and other dimensions means for one and all, then they will relax and feel good about it. Gesanna: So how does the Council perceive having contact here, in such an area, will be of benefit as opposed to other potential sites around the world for it? An T’na: You know that there are those of your people who do not want contact of any kind to occur with entities from whom they do not profit by. An T’na: We wish you to know that it is our intent to protect the area of your island that is currently being ‘quarantined’, if you will, from the rest of the island. Nature herself is providing us, and all of you, with a natural garrison wherein to implement the procedures of contact so that the necessary steps can proceed with as little disruption as possible. You see, first contact will not be an event that is a major global event of landing on your major capitals front yards. It will first occur on a much more personal level in a way that facilitates a gradual introduction to you of ourselves and all who shall follow later on. By this we mean that the world will be gradually introduced to their next step in ‘collective experience’. While the actual first contact event will transpire here, the world will be informed through your internet and other sources, regarding how it is progressing. This is the initial phase of contact, encompassing ‘where’ and ‘when’ and ‘how’, in order to establish the protocols of contact on the larger global scale. This sanctuary will become a sort of ‘Contact Protocols Training Center’ for those we find ready to do such work. Some time ago you, Gesanna, added a special section on our Contact To Ascension website (see below) that was called “StarQuest Academy”. You may reinstall this section now for, once it occurs, we will use it as a part of our website that keeps track of how this phase of contact is transpiring. It will be used to inform the world. Now, another purpose that your isolated area will serve later on is that of teaching your people who live there how to live in a non-monetary society that is based upon higher ideals and greater benefits of equality for one and all alike. As you and Michael have intuitively sensed from us, the remote area of your Big Island will serve to gradually introduce the world to this new concept of life by way of engaging a small portion of the population with actually living it. It will be much like your entertainment programs that you call “reality shows” where an isolated portion of people do things or live in unusual circumstances to see what the outcome is. Apply this concept to what you will be doing on this sector of your island and you get the picture, as you say, except it won’t be merely a TV show. It will be real life. It will become a ‘testing ground’ for this higher manner of existence. It will provide your leaders with a means to observe firsthand how such a way of life can actually work to the upliftment of everyone as well as of the planet. Through example they will come to realize that engaging life, such as Terrans have been doing, is antiquated, outmoded and outdated, because it is inefficient and ineffective to the continued existence of you unique species and the planet. This part of the plan is why we said that those who are ‘being trapped’, as you have put it, on this area of the island will have your needs provided for. The idea of ‘being trapped’, and by this you mean severed from having access to obtaining your needs, will be far from the case because you will learn from us new ways of doing things…ways that are much more grand and wonderful than most have dreamed could occur. You will certainly not be left wanting for anything. We will introduce you not only to ways of providing adequately for your physical and material needs, and that of your planet, but you will also learn and establish new forms of governing yourselves that are altruistic and uplifting to one another. Your negative factions know of and understand these forms of higher governance but they have not allowed it to be made known nor engaged by their slave population for it profits them not for you to know about it. But it is not what you would consider to be a ‘woo-woo’ form of governance. Nor is it a religious form of governance. Nor is it any of the political ‘ism’ form of governance that you have been allowed to know about and have. What you will learn is literally ‘alien’ to you because it is a form of governance that is of a nature that, while you are certainly capable of learning and living it, you have not been allowed to ‘conceive’ of it. We will teach it to you and you will wonder why you never before thought of it yourselves. But with this comes a level of responsibility that requires personal changes in your thoughts and feelings towards one another, including your personal selves. We have been giving you Communiqués that teach you the basics of what you need to know that will enable you to begin to embrace and engage such a form of higher governance. We urge everyone to read these Communiqués and apply the information to become what we would call the essential nature of your Being. These Communiqués are posted on the website (see below) and are published in our book, “From Contact To Ascension”. More Communiqués are forthcoming so do avail yourselves to this information. Incorporating these principles and qualities into the nature of your Being is really not difficult to do, but you have not been, and yet you ‘must’ be given, the proper ‘environment of spirit and space’ that ‘allows’ it to come forth from within you. Your sectored-off area of the island will help do that for you. 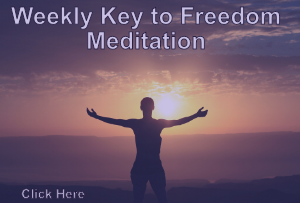 You will be free of interference from detractors and your cabal in order to establish the particular kind of higher self-governance within you that will become the catalyst and support of a higher governance externally. It will not take a long time to do. You can do it in a very short period of time, and we are talking a few wonderful weeks, because once you are given the necessary ‘tools’ of knowledge and technology by which to do so then progress will occur very rapidly, within you and thus around you. So you will quickly establish an altruistic form governance like unto that which the families of your Galactic Societies possess and live by. The people of your area who will be participating in this so-called “prototype governance” will become the ‘wayshowers’ of an entirely new manner of living to the world who will be watching closely at what happens. Gesanna: Will everyone living in this area here be cooperative and desirous of this change? An T’na: There will be some who will not. As the lava flow continues, it is even now repelling away some people who are not yet ready to make such a change, personally and collectively. Once your area is all but totally closed-off, those remaining in the area who are not ready to learn to live such an altruistic manner of life will find themselves repulsed by the larger population’s desire and support for such a new way of life. They will leave of their own accord, relocating to other areas beyond this one. In time, once the remaining populace has shown that such a higher way of life is indeed more desirable, then these people will realize that it corresponds directly to their own higher ideals and principles of living what you call “the Golden Rule”. In other words, no one will be chased out or forced to leave by anyone other than themselves. It is a time for them to actually begin to ‘live’ the Golden Rule in-practice, not just in-theory. What we are describing here, to clarify, is that the ‘first contact’ event will be made on this section of the Big Island. In short time it will expand to include the whole of the island. Then in time it will expand to include all the other islands, which you refer to collectively as your ‘state’. Your little section of the Big Island will be the “conception place” of the new way of life, if we may use that analogy. It will grow, expanding to encompass more area until the entire state becomes the “birthplace” of your new and higher global way of life. Gesanna: OK. So why was Hawaii chosen as the place for this first phase of contact? What’s so special about it? An T’na: It is the location. It was decided long ago that a remote isolated area on the planet would be the best place to bring about this particular and unusual kind of change. Your location is not so easily and quickly accessible to those who would want to undermine your need and desires for contact with benevolent Beings who can help bring you out of their manufactured ‘dark ages’ and into the galactic light of a higher way of life that you ‘should have’ been living eons ago but were not allowed to do so. Gesanna: Certainly they still have ways of interfering with the initiation and development of a new way of life here. How will being here change that? An T’na: We will be here as well. Being greatly removed from them, our presence will serve to shield you from those who would prefer us not to be here at all. We have our ways that are non-hostile. Our protective presence will expand along with the expansion of that higher way of life as it encompasses larger portions of the population, starting right here in what is becoming a nearly isolated little island on your Big Island, and moving to encompass the whole island, then the state, then into your country, and on to other countries who desire to participate and invite us to join them. So you see, by going about it in this manner, no one will feel like we are here on some evil mission to kill you all so that we can takeover your planet. That is a destructive mission that was engaged on your planet eons ago and still remains active to this day. And they’ve been trying to kill off the majority of you for some time now. But all of that is doomed to end soon as all things will and must do that are of ‘evil’, meaning ‘negative’, energy by their very nature of ‘entropy’. We are here to help you replace that which is dying out with something far better and far more enhancing to your soul’s evolutionary paths. Gesanna: OK. Thank you for expounding upon these subjects. I want to ask a question related to, but beyond what has been discussed, and that regards the subject you once discussed when you said that Roswell, New Mexico, will play a part in the contact event. Would you please clarify how these 2 events correlate to one another? An T’na: Yes. We said that your area is destined to be the place of first contact and the training of those who are ready to participate in the new way of life that will follow. Roswell will later play the role of being a major center for public education on a much wider scale. Its location already has an established global fame of all-things-extraterrestrial. It is this global reputation that is already embraced by its local residents, if only humorously tolerated by some of them, that the expansion of the city into a major center for learning about these subjects will be a receptive place for it. In other words, Hawaii will be the ‘birthplace’ for contact and a new way of life. Roswell will be like the ‘mother’ who nurtures these new factors of life into full-grown planetary aspects leading to your admittance into the Galactic Society. In short time, other such centers of learning will be established around your planet. 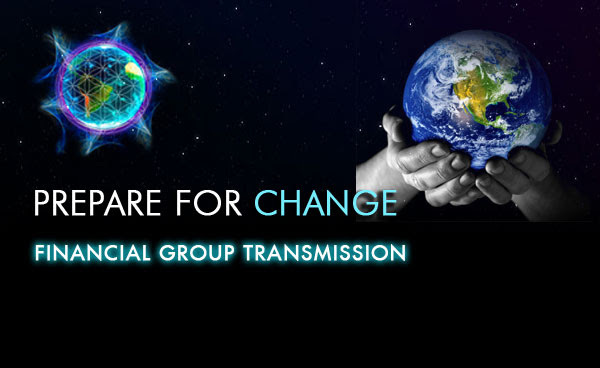 In other Communiqués we have described how contact will uplift your planet in every way. And we also have said that the amount of time that it will take for all of this to transpire and transition will not be as long as many of you have assumed it will take. One reason is that for the most part your species is ready for it. Another reason is that it is actually not such a foreign idea at your soul level that it would require generations to adapt to. You’re actually very intelligent people. You’ve simply not been given the appropriate circumstances in which to bring all this about. Given that, great surprises are in store for you because you will make them happen. Once this contact cat is out of the bag and running around freely, if we may use that colloquialism for you, then things are going to move very rapidly and effectively. You will be amazed at how quickly and smoothly this transition is going to occur. We’ve foreseen it. It will occur. We are here to help you do that. We feel we have given you enough to think about for now. Think on these things. If you have further questions, present them and we will clarify. I am An T’na, of the Intergalactic Board of Council. Be happy! Gesanna: An T’na, concerning the information imparted by the Council yesterday, how will our governments react to all that was shared with us about these plans for contact? An T’na: Even now they are being prepared on unconscious levels of their Beings. Once confronted with it on the conscious level, we feel that they will be intrigued by this idea much like observing a fascinating movie where the people are willing participators of experiencing unusual changes. They will proceed with it out of curiosity at first. Then once they see how it will cause positive effects on the lives of those participating, and on the area of the planet where they live, then they will shift to being more ‘interested’ in becoming participators as well. Now, the contact event itself will occur despite how they think and feel about that matter. It ‘will’ occur because it will do so on a section of land on your soon-to-be ‘Little Island’ (on the Big Island) that has been set aside as what you would call a “free zone” – meaning a zone that is free of negative faction laws and policies governing against having contact. 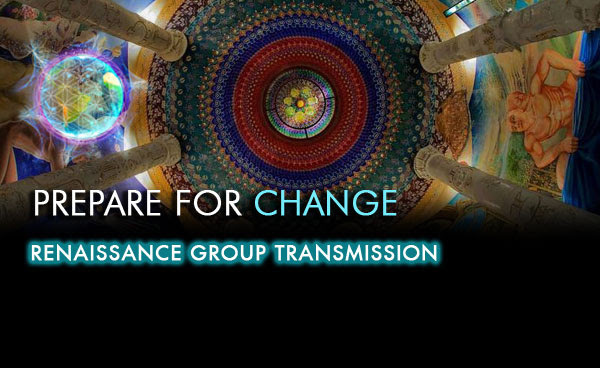 Once this initial aspect of contact occurs, your officials will be invited to this designated Sanctuary zone to hold council with us so as to discuss the plans we are offering to this planet. The next step will be to bring together the people, only of your isolated area, to the Sanctuary to learn about the plan from us. Those who want to participate will be invited to return for frequent ‘StarQuest Academy training classes’, if you will, that focus on learning the protocols for contact, as well as teachings for living the new higher, shall we say, Galactic Society, way of life. Those who do not want to participate in this program will be left alone but will be asked to not interfere with the new manner of life that is going to be implemented and developing around them. No one will be forced to leave their homes, but all ‘will’ be asked to cooperate respectively with the changes that will be made. But who of those among you would not want to be part of such change for the better? We foresee little resistance once the initial shock of contact has softened in effect. Once it is known by all people that what is transpiring here is being not only ‘watched’ by your government and military communities but is also being ‘sanctioned to carry on’ as a project they will classify as ‘experimental’, then most resistance will relax and a sense of curiosity and wonder will reside amongst the people of your world. You see, by us working together with your government and military communities and your common people, then the fear of ‘invasion and takeover’ is quelled so that a new consciousness may prevail that allows the kind of ways of life to step in and uplift all of you to the level of life that you should have already been living by now. Gesanna: But what about the negative faction, the cabal? They have been the shadowy ones holding the strings of control over all known governments and military and religious leaders regarding contact, truth, and so on. Won’t they continue to pull their strings of control? An T’na: We will say, as we said earlier, “their time is up”. And it is ‘up’ because ‘entropy’ has run its course with their negative energy being the dominant energy on this planet. Entropy is causing their power-base and related systems to break down. Gesanna: Is this why contact has not been made yet? An T’na: Yes. All who would have made contact with you prior to now understand these natural processes. Allowing the negative energy of your negative factions to run its course to the point of final entropy was deemed the best way to go about making contact and assisting you toward your new Galactic Society life. Making contact at a point in time sooner than this would have resulted in a major backlash from your negative factions. As it is now though, the negative energy by which they function and maintain their power-base is being destroyed from within their own ranks and operating systems. It was inevitable. Negative energy is not a bad or evil energy. It has its purpose of creation in a 3 dimensional format of existence. Its purpose is to ‘dismantle’ that which has been brought together so that something new can come forth, and its ultimate outcome is annihilation of that which was created. It has its purpose and function in the creation-evolution processes. Do not view negative energy as being bad or evil but doing purposeful good when left to its own natural processes. But when it is embraced and engaged for deliberate purposes of inflicting harm of any kind upon sentient Beings through destructive means, then that negative energy is much more quickly ‘used-up’, so to speak, is more quickly hastened toward its point of final entropy. That is why it was decided that the best way to proceed with contact on your planet was to wait until these souls have brought their power-base to the point of final entropy, thus their personal existence on this planet to the point of self-annihilation from the planet. In other words, they are bringing upon themselves their own demise. No one is forcing it upon them. So, yes, this is why contact has not occurred before now on your planet. Regarding contact, the same approach was applied to the few other planets throughout the universe that were under similar circumstances of rule by their respective negative factions. The negative energy of their power-bases was allowed to entropy so that the new and higher ways of life brought on by contact could find a firm foothold. These planets are now solidly on the way to entering the Galactic Society. Due to the enormous amount of negative energy that your planet has been put under, it has required a much greater amount of time in order to reach its point of final entropy. Your planet is the last one to make its way to being a member of the Galactic Society. We hope that this sheds clarity on the question. Gesanna: Yes, it does. Thank you. Another question: is there anything in Communiqué 20 that you do not want made public at this time? An T’na: No. During the session the Council decided to withhold some details of the plan that They feel is unnecessary to be made public at this time. As it is, you may publish it in its entirety. Gesanna: OK. Thanks for sharing all of this with us. It does help shed light on the matter of contact. Last question: will Mr. Ja’li be sharing his wisdom with us soon? An T’na: Yes. He will give forth information that will be useful regarding how the New Developments with the Matrix and all that is in it are changing the changes you’ve all been expecting. So do stay tuned for his forthcoming messages. Gesanna: OK. Will do. Thanks! An T’na: The Council is ready to close this session now. Please stay tuned regularly for further information to be imparted to you and all alike. I am An T’na, of the Intergalactic Board of Council. Stay well. As you well know we can all speculate about how the ascension will go. At the present time we have more to deal with here on Gaia before we even get to that point. We still need to show the rest of the universe that we are committed to changing our circumstances here. Honoring our Gaia in a way the she may heal and support us as a civilization in a new society. Cobra doesn’t give dates. He never has and I don’t expect at this crucial time that he will in the near future. It will all play out in divine right order. Thank you also for your kindly message! I have to point more exactly that we need more intel about the ascension process. And, as well as Cobra claims there were already a few peoples who where ascending it seems to be of nowadays interest, even before the Event. I do not ask Cobra about calendar dates, but rather about the ascension process itself. It is thus of more interest this subject rather than asking day by day when the Event will happen or the RV or GGCR, isn’t it? On the other hand, Cobra confirmed us in a way the validity of the Ra material. In the Ra material we are told about an ascension into both a positive and negative 4th density. Therefore we have the right to ask and to be informed. He may select your question to ask Cobra on his next interview which will be coming up within the next week. Thanks for answer Dear AngelEyes! 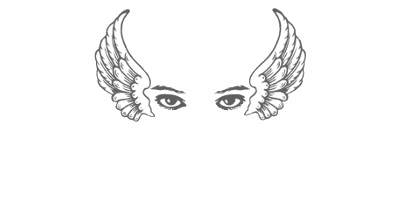 I imagine you as a young lady with angel eyes. Is it so? http://contact2ascension.com/ website, Gesanna, An’tna, and the first contact which may supposedly take place in Hawaii. The true question in concerning the fact that they promote another kind of ascension plan for humanity, in sense of the so named ‘Triads’ and a ‘womb’ giving birth to a ‘new universe’ in which will be preserved a 3rd density world. It seem that their point of view towards the Ascension process differs from the ‘main stream’ discussions about Ascension.